This tool allows you to tailor the walk to your specific goal. 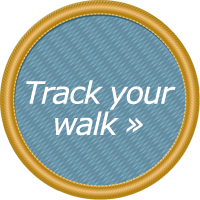 We recommend a minimum goal of 18 kms, which you can record over multiple entries and any length of time you choose. Along the way, special progress badges and promotions will be unlocked, so let’s get moving! Check out the map below to follow your progression across Canada, starting from the Maritimes to the far right and heading across various regions until you end up in British Columbia!